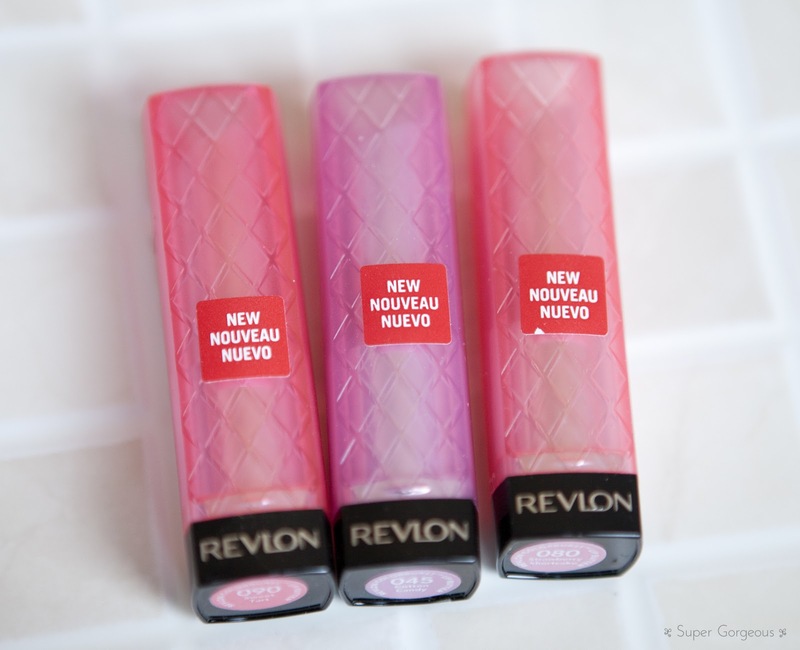 You've probably heard the hype - Revlon released their Colorstay Lip Butters a while ago in USA, and bloggers went mad for them. They are a cross between a lip stick and a lip balm - containing mango, shea and coconut butters to apparently increase lip moisture by 156%, while providing the gorgeous colours of a lipstick. Us in England have been waiting patiently (or not so patiently) for their arrival onto British soil, and at last, I found them in my local Boots. I had to see what all the fuss was about. They are available in 16 shades, although my Boots only stocked 8 (I think... it definitely wasn't 16), although all the colours are up on their website. Each Lip Butter is £7.99, but Boots are doing 3 for 2 across make up at the moment, which these qualify... so it'd have been rude not to. I really like the packaging - it's bright and fresh and feels summery, which is when I imagine the Lip Butters will be mostly worn. The coloured plastic casing has a quilted effect on it, and the very top of it is see through so you can see which colour the Lip Butter is, without having to remove the lid. The three colours I got were Cotton Candy (045), Strawberry Shortcake (080) and Sweet Tart (090). They are all pink shades, but different from each other. Cotton Candy is a really gorgeous, subtle colour - it is a cool pinky purple which has a gold shimmer to it, which stops it from being quite so cool. There isn't much colour payoff, but I like that about it - it's as versatile as a lip balm, while adding prettiness to your lips. Strawberry Shortcake definitely has more colour to it - again it is a cool toned pink, but with more qualities of a lipstick - the wash of colour is more opaque, and reminds me of a balmy MAC Viva Glam Gaga... a soft baby pink. If you look extremely closely there is a little bit of shimmer, but the particles are tiny. Sweet Tart surprised me with just how bright it was when I swatched it on my hand. For something of a balm consistency it really packs a lot of punch. This is a fuchsia pink which is a lot more wearable for summer days than a standard fuchsia lipstick. Because of the moisturising qualities of the Lip Butters, they have that feeling of a lip balm - you know when you push your lips together, and they slide around...? That. They do feel really moisurising, which is great, but on the same hand, because of this, it means that the colour doesn't last for a great length of time - I needed to top up after a couple of hours. That doesn't bother me though - because of their sheerness they are really easy to apply without a brush, and I know I'm being kind to my lips at the same time. I think they are a great way to add colour to your lips without being too heavy for brighter days. What do you think of the Lip Butters? Have you had a chance to get your hands on any yet? I can't find these anywhere!!!! I have Lollipop, only just that one but a friend has sent me 4 more. The 4 newbies will have to impress me because I love lollipop! Really want to try these ! May have to invest next payday !